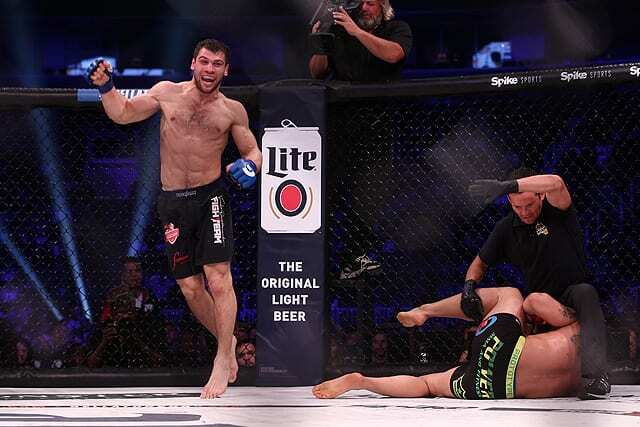 An action-packed middleweight fight took center stage inside the Bellator 218 cage as Anatoly Tokov survived an early scare to submit Gerald Harris. Tokov did recover, and in the second round started to pick up the pace. Tokov ultimately sank in a 10-finger choke and force the 39-year-old Harris to tap. The win makes it four straight inside the Bellator cage for Tokov. The Russian didn’t miss his opportunity to call for a title fight in his post-fight interview with Big John.